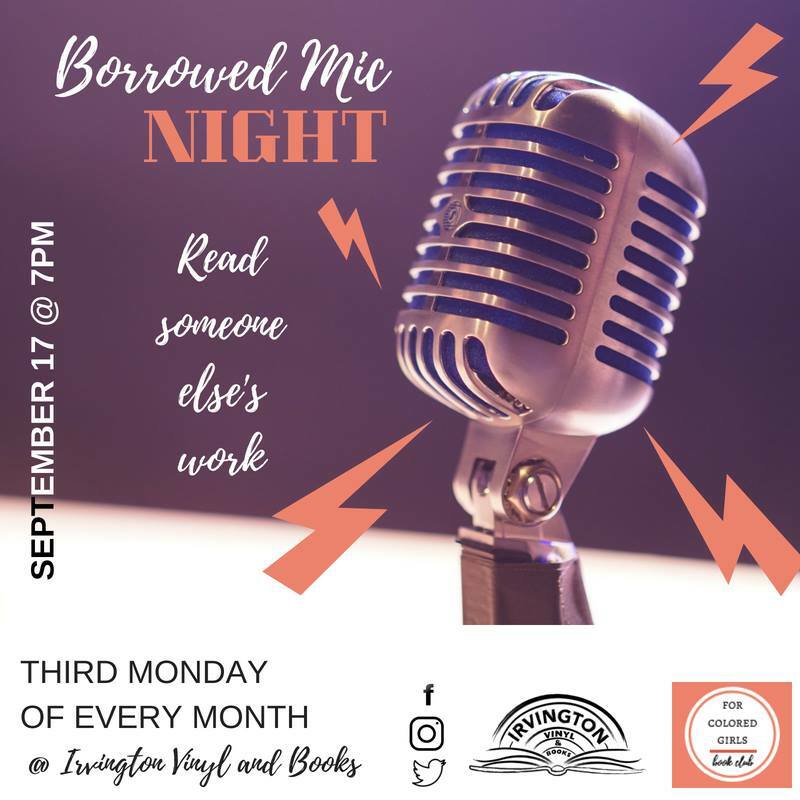 Come read someone else's work at Borrowed Mic Night with For Colored Girls Book Club and Irvington Vinyl and Books! How it works: bring a book of poems/a short short story/a stand-alone excerpt and introduce folks to the work by reading from it. If you don't have a book at home, come to IVB and choose a book to read from (then feel free to buy the book). A night of sharing stories/poetry without the pressure of performing your own work. A win-win! Sign-ups available at the beginning of the night. Donations welcome!